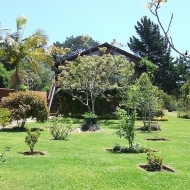 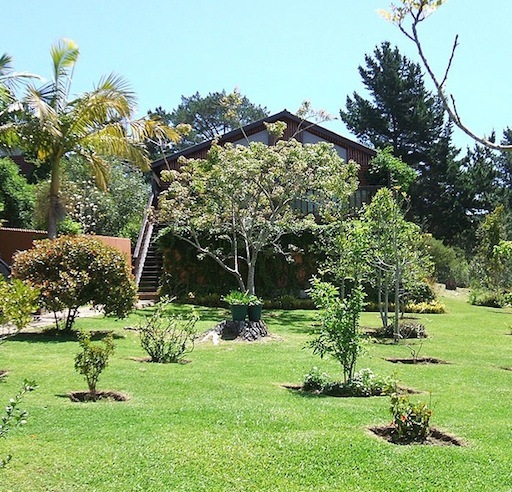 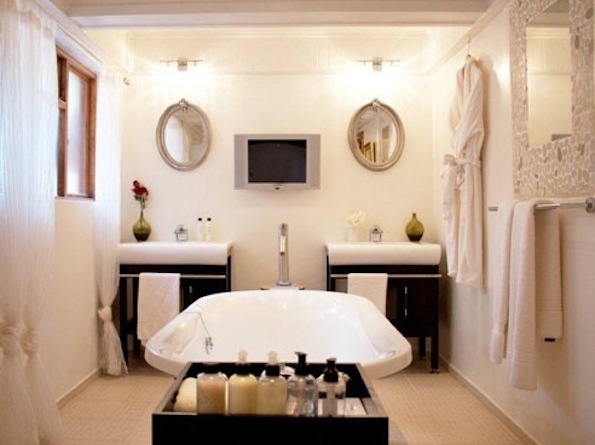 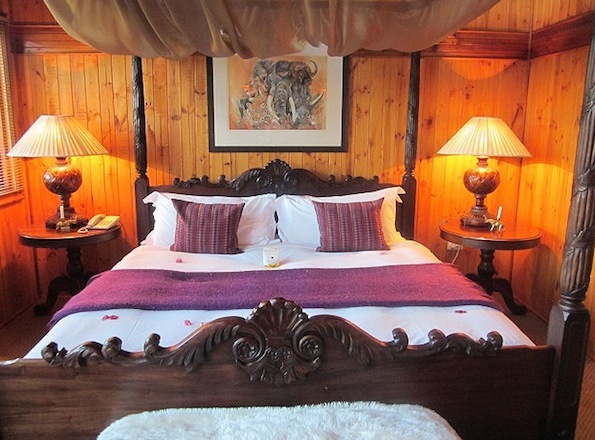 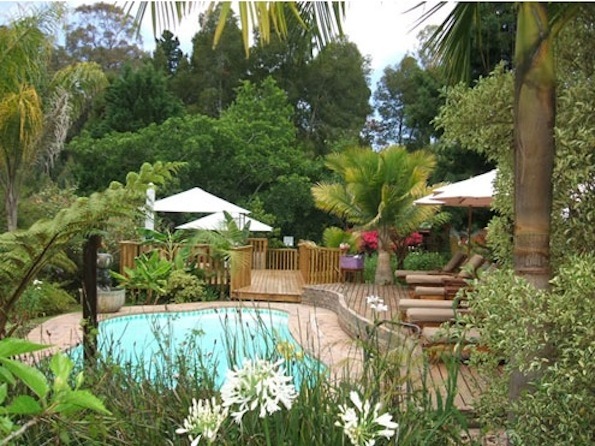 Tonquani is a peaceful and tranquil 5 star hotel on the hills above Knysna. 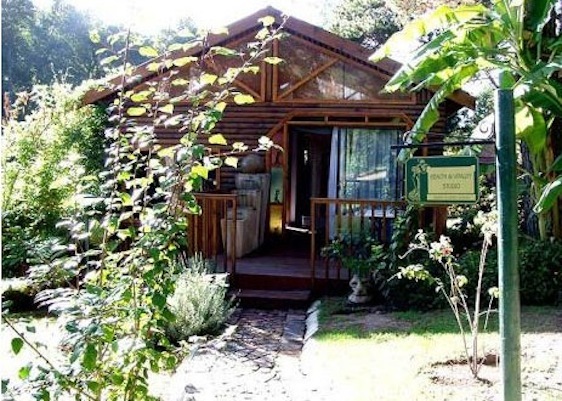 The wooden log chalets are surrounded by mountains, lush vegetation and the soothing sound of flowing water. 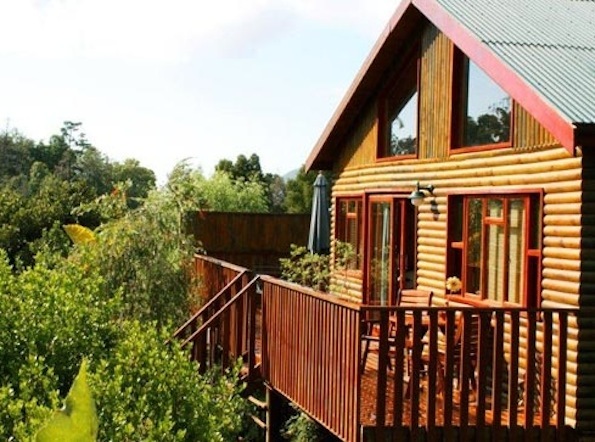 Each chalet has air-conditioning, a private patio and a barbecue. 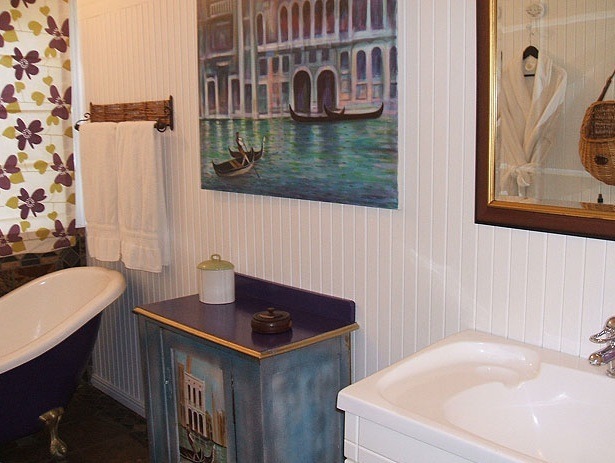 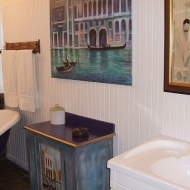 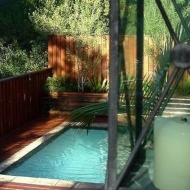 Some units have a bathtub with Jacuzzi and/or a fireplace and three units have a splash pool. 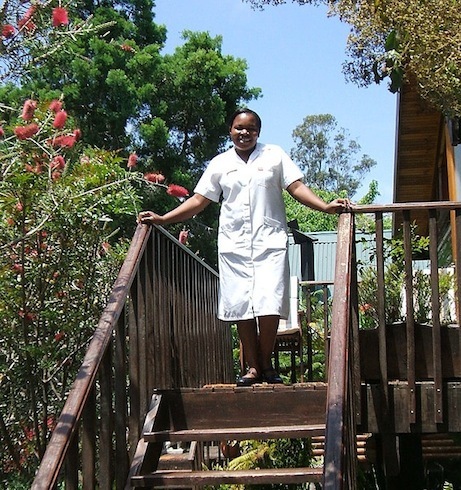 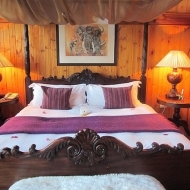 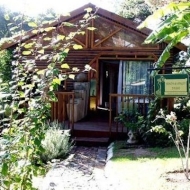 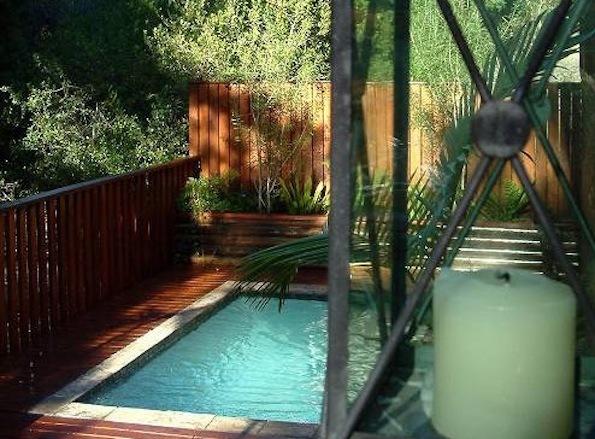 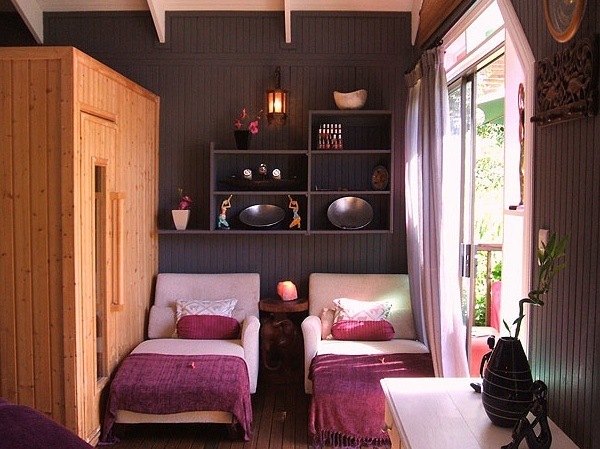 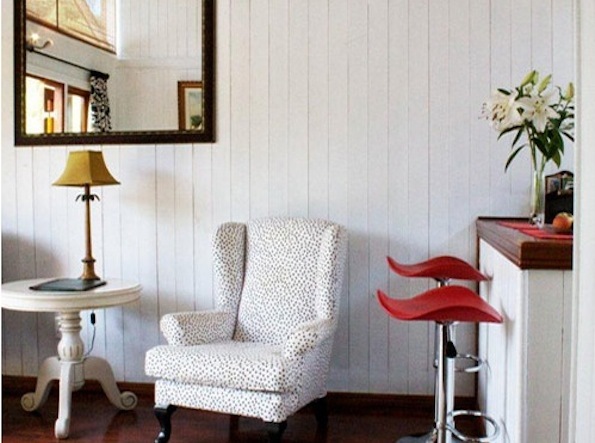 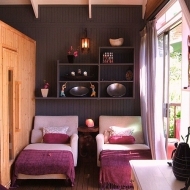 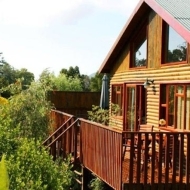 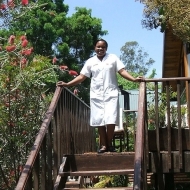 The Knysna Lorie Chalet (also called Treetop hideaway) is the flagship unit ideal for honeymooners or special occasions. 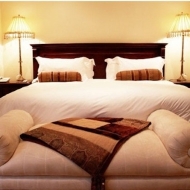 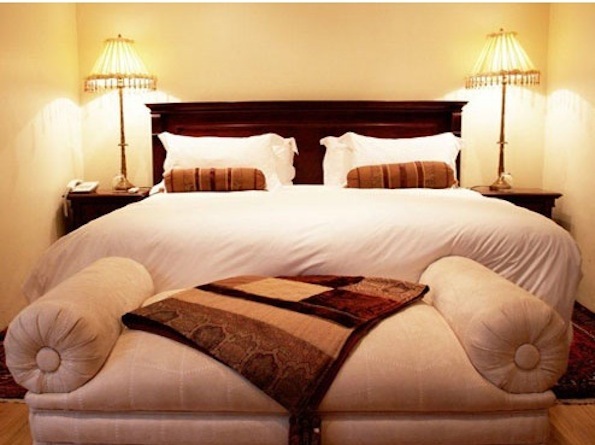 The family suites with 2 bedrooms can comfortably accommodate five people. 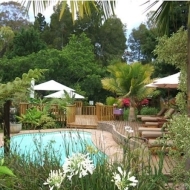 Guests are invited to relax on the sun loungers or to enjoy the welcoming coolness of the main swimming pool, which is set in the tranquil gardens. 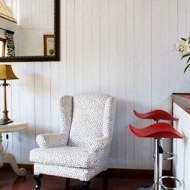 Complimentary tea and cake is served every afternoon. 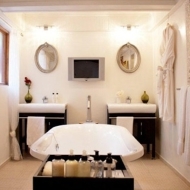 The spa ensures total relaxation and offers a wealth of diverse treatments for every need.